My name is Daniel Ruiz. I am a State Licensed General Contractor. Owner of VenCo construction, a company specializing in residential and commercial concrete and masonry services. We are based out of Camarillo, California. Venco construction is a family owned and operated business established in the year 2000 with a combined industry experience of almost 30 years. I’m a second generation state licensed contractor, following in my fathers footsteps, from whom among many things I learned to take pride in what we do,to have respect for the trade and for our customers as well. Even after all these years, I truly still enjoy every aspect of the business, especially helping my customers visions become a reality. We pride ourselves on providing honesty and integrity throughout the entire process. If you have any questions about how we operate, please feel free to give us a call anytime for more information. 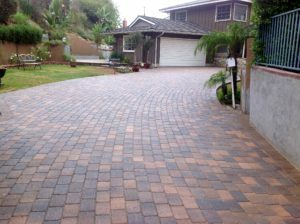 Our goal is to provide the highest industry standards by providing quality workmanship at affordable prices. We welcome the opportunity to earn your trust and deliver the results you expect.